Our Collab of the Issue in this edition of SPECTR is drawing on two genuinely unique design approaches. On one hand, it draws on one of the finest new independent brands, LUCAS DE STAëL eyewear, a French label founded in 2012 by the designer of the same name. And on the other hand we really enjoy a taste of vintage bicycles and opportunities like last year’s photo shoot with Fred Jourden and Hugo Jézégabel at their BLITZ MOTORCYCLES workshop in Paris, where they create custom motorbike magic. 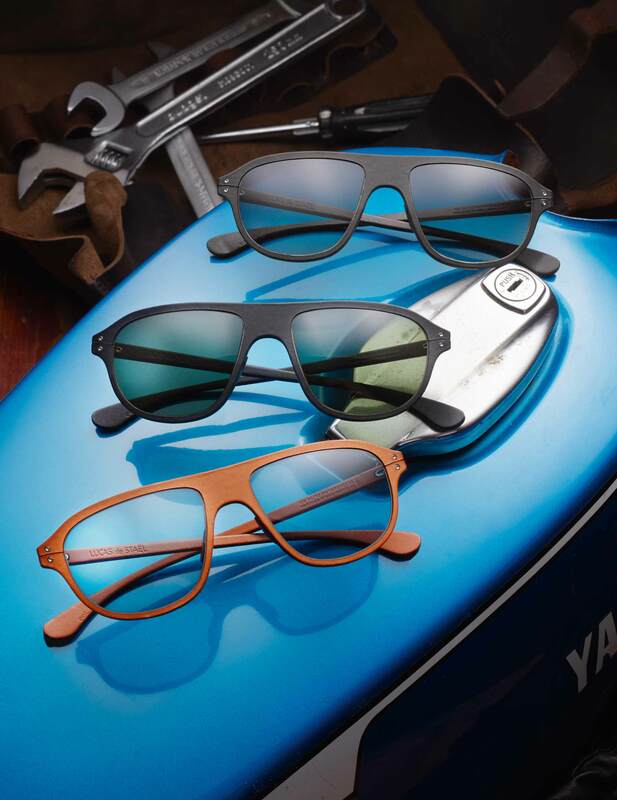 And while their fellow Parisian Lucas tends to prefer a baby blue 1950s Vespa over a rugged custom bike, both labels agreed on their passion for high quality eyewear. The result of the collaboration is a new sunglasses model available in three colorways. The frame is covered in genuine cow leather, which happens to be the same material BLITZ used in their baggage collab with Bleu de Chauffe. The refined leather is a staple in the vintage motorbike scene and assumes a nice patina over time. Fred and Hugo’s design expertise truly shines in the frame’s thin temples, perfect for pairing up with bike helmet, while Lucas added his signature expertise for well-balanced frames. Combining the best of designer eyewear and custom bike mastery, the BLITZ x LUCAS DE STAëL is now available at finer optical stores or online at blitz-motorcycles.com. If vintage motorbikes are your jam, ride like the wind to get one.